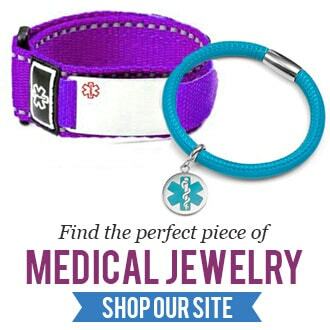 Sticky Jewelry is happy to work with other retailers including small businesses to meet the needs of hospitals, gift shops, assisted living facilities, schools and more. Read more for information on creating a partnership with Sticky Jewelry. AFFILIATES: Affiliates are registered through our Affiliate Partner, Commission Junction and are an easy way to partner with us. Once approved, affiliates (a.k.a. publishers) display Sticky Jewelry ads, links, banners and/or products on their own website. Affiliates then earn a commission from each sale that comes through their site. Affiliate registration and activity are managed through our Affiliate Partner, Commission Junction. To learn about becoming a Publisher (affiliate) that are registered with Commission Junction to display Sticky Jewelry products and earn commissions, simply visit Commission Junction and apply. WHOLESALE: Our wholesalers are able to purchase our products and engraving at a discount, which is ideal for businesses that would like to sell our jewelry but may not have the engraving or shipping capabilities to store our products and sell them on their own. If need be, Sticky Jewelry will take care of the engraving and shipping services for reps who request it; and, StickyJ reps even have the option of having their company name printed on our packing slips if need be. However, our program also offers tiered pricing based on volume, so if your business model is more developed in engraving and sales volume, we can offer factory pricing with quick turn-around time – usually shipping by next business day for non-engraved orders. To sign up for our Wholesale Program fill out our Partner Form and pay your $100 set-up fee. This fee is required to help cover the cost of set-up and ongoing account management. Scan and email or FAX all finished applications to our marketing team at marketing@stickyj.com. If your application is not approved, this fee will be refunded. Once your application is reviewed and approved, a member of our marketing team will call or email you to provide you the login credentials to our wholesale website. Though there is no per order minimum, our Wholesalers are required to purchase at least $200 per year to keep their active status. If upon annual renewal, the $200 minimum is not met, Sticky Jewelry has the right to cancel the account, though we will attempt contact prior to making such a change. Please Note that all orders shipped to Florida will incur a 7% sales tax. BULK BUYS: We also offer discount pricing for bulk buys and through our sister-site Thoughtful Impressions. You can find personalized jewelry and engraved gifts such as custom keychains, engraved picture frames and more. In a fraternity or sorority? Looking for a customized gift for your team? Contact our marketing department to get bulk pricing and production estimates for your event to reach you with plenty of time to spare! We can help you to pick out the perfect bulk engraved product that everyone will appreciate and at a price that remains well within your budget. I purchased one of the USB bracelets a few years ago maybe 3-4 or 5 not sure. But I was wondering if it is possible to get a new USB to put in the bracelet and take the old one out. I have worn it all the time but not in the water, and I think because of the sweating on the wrist in the summer it has coroded the usb and it don’t want to work. Also If I deceide to order a new one is it possible to have a medical insegina soldered to the top on the smaller end? I think that would also be a help. If it is glued it may come off if bumped. Hi Nancy, give our customer service department a call at (727)823-9500 or send them an email at customerservice@stickyj.com. They’ll be able to work with you to replace your USB. Looking for information for our retail stores. We have in the past had a stand up board with samples and order forms with it. Do you still have them? We have a stand-up board that we can send you that has the order form that your customers can receive a tear-off sheet from to place orders by. If that is what you’re looking for, please contact Bonnie Moody at marketing@stickyj.com and she can place an order to mail one to you free of charge. Hello I’m interested in more info on your wholesale opportunities.. I know of a large company who may be interested in a couple of your products and I would love to get involved in this with you.. This would be a GREAT opportunity for u and myself.,,If this company orders from your company. Hi, Michelle. We do offer wholesale opportunities. Please contact us at marketing@StickyJ.com, or give us a call at 727-823-9500. How do I place a bulk order for blank medical id plates? Thanks for revealing your ideas. The one thing is that pupils have a selection between federal government student loan plus a private education loan where it is easier to go for student loan debt consolidation than with the federal student loan.